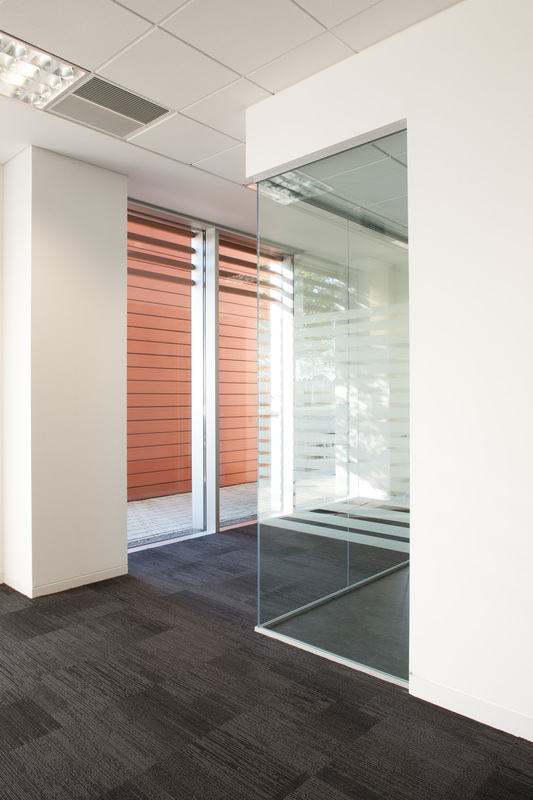 Bright colours were requested by the sub-contractor fitting out this office project. 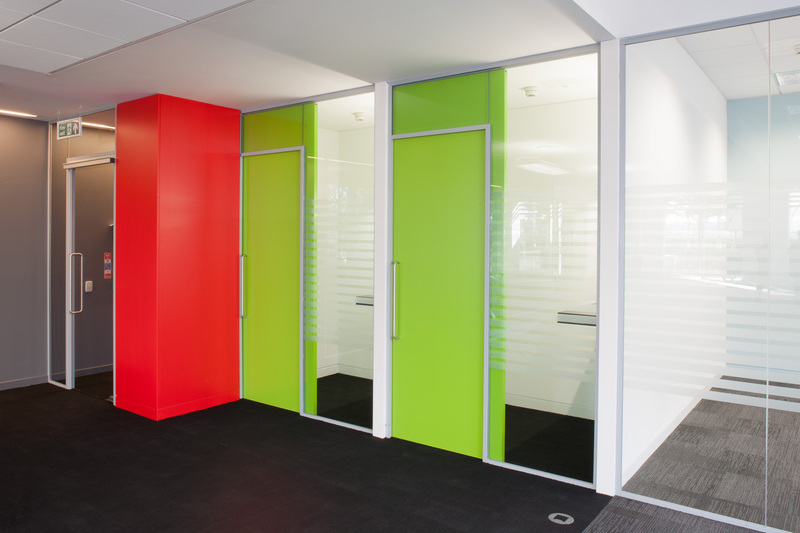 Cherry red, orange and lime green added splashes of colour to create interest and complement their client's brand identity. 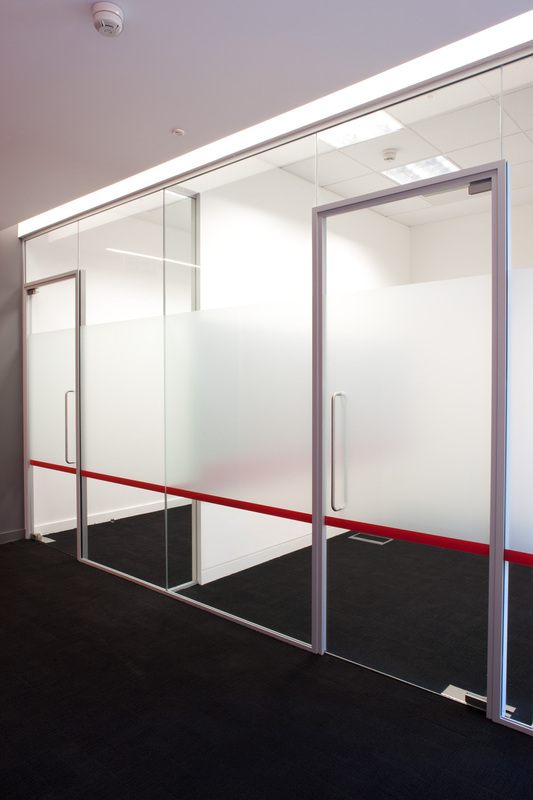 In addition to the large pops of colour on doors, a number of glass partitions with red or white manifestations completed the look of the meeting rooms, offices and boardroom. 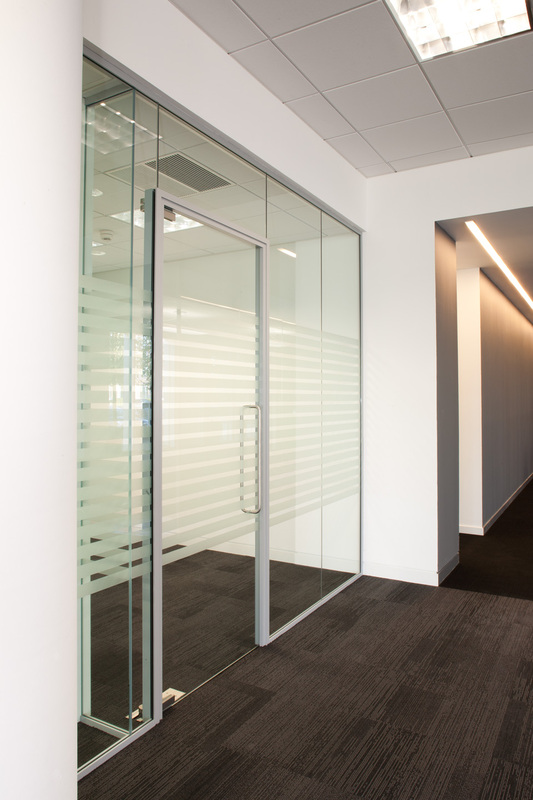 To find out more about how to use partitions in a way that adds colour to your next project or to create spaces which complement your client's corporate identity, contact us on 01444 230807 or click here to email our sales team.